Grilled Lemon Butter Zucchini - the freshest and juiciest grilled zucchini ever, with lemon butter and herb. 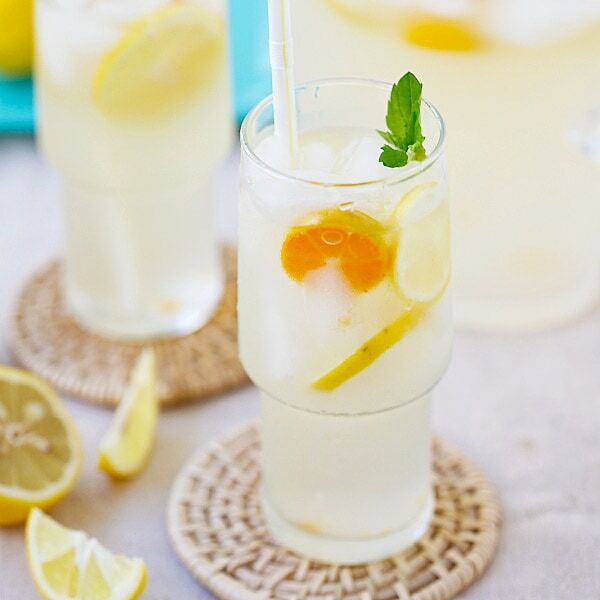 This summer staple is a crowd pleaser! I have been grilling up a storm in my backyard this past week and today, I made these grilled lemon butter zucchini on my outdoor grill and savored the juiciness and natural sweetness of zucchinis. 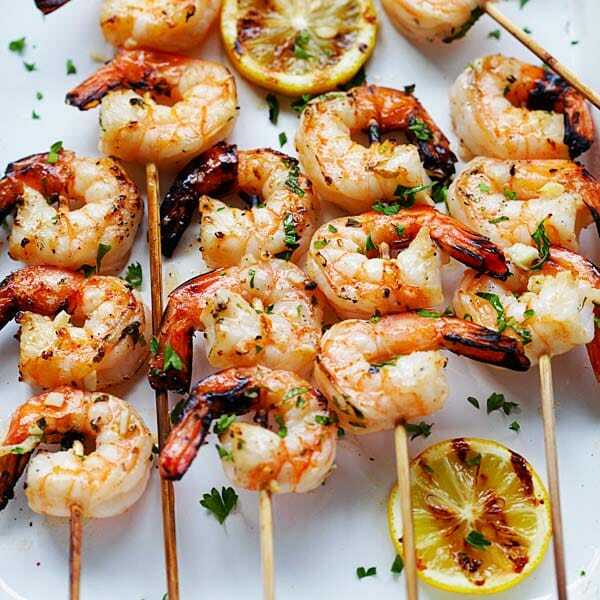 They are absolutely fresh and delicious, a perfect side to any summer BBQ dishes. What I love most about this recipe is its simplicity as it calls for only 4 ingredients: zucchini, butter, lemon juice and and parsley. When you have fresh zucchinis, you don’t need anything heavy or excessive as you want the natural sweetness to shine through. You can cut the zucchinis into rounds but I personally love it sliced horizontally as there is a lot more surface to get the nice and beautiful grill marks, which always make me utterly happy as they practically scream summer. If you don’t have a grill, you can make it on a grill pan on your stove top. 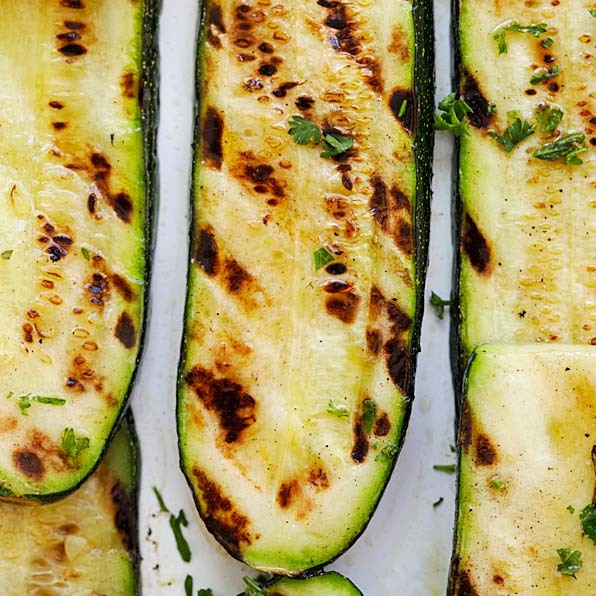 Grilled Lemon Butter Zucchini – the freshest and juiciest grilled zucchini ever, with lemon butter and herb. This summer staple is a crowd pleaser. Trim both ends of the zucchinis. Slice each zucchini into halves, and then slice into horizontal pieces. Prepare the lemon butter mixture by mixing the butter, lemon juice and chopped parsley. Grill the zucchinis on an outdoor grill. Brush the lemon butter mixture on the surface on grill on each side for about 1 minute, or until the char marks form. Turn over and grill the other side. Do not overcook. Serve warm. All photos and recipes on Rasa Malaysia are copyright protected. Please do not use the photos and recipes without prior written permission. 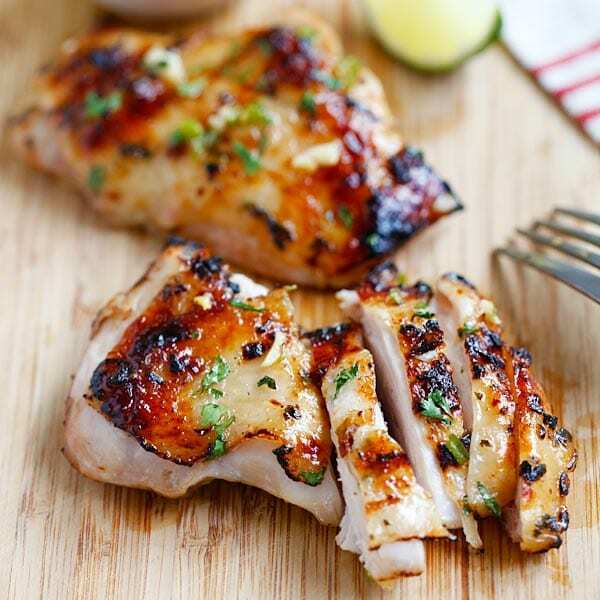 If you wish to republish this recipe, please rewrite the recipe in your own words instead of copy and paste and link back to //rasamalaysia.com/grilled-lemon-butter-zucchini/. Thank you very much! this is a great idea, I saw this on a recent foodiecrush post featuring several zucchini recipes and really love this barbeque idea, especially since I usually only throw them on the grill plain, this is so much better with lemon butter, thank you for this inspiration!